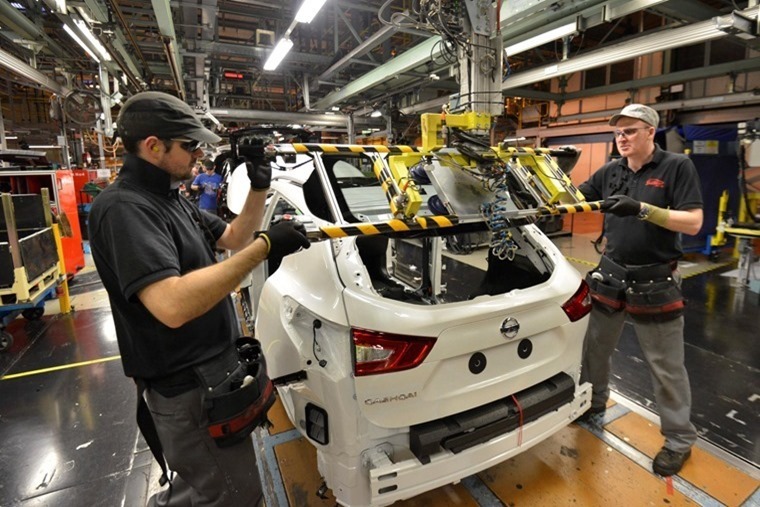 Ahead of Theresa May’s vital Brexit summit in Brussels tonight, key European automotive manufacturers and suppliers have come together to warn of the potential consequences a no-deal scenario would have on the sector. The European Automobile Manufacturers’ Association (ACEA), which represents the 15 major Europe-based car, van, truck and bus manufacturers, including BMW Group, Daimler, Fiat Chrysler Automobiles, Ford, Honda, Hyundai, Jaguar Land Rover, PSA, Renault, Toyota, Volkswagen Group and Volvo Cars, has suggested that withdrawal from the EU on WTO terms could threaten the whole European automotive business model. If the EU and UK transition to WTO rules following Brexit, a 10% tariff will be applied to all vehicles and parts between them, damaging profit margins in the short term, and potentially thousands of jobs in the long term. Their joint announcement follows similar appeals for clarity and assurance from UK-based manufacturers and the Society of Motor Manufacturers and Traders (SMMT) about what the UK’s future relationship with the EU will mean for the supply chain, delivery and production processes on both sides of the Channel. 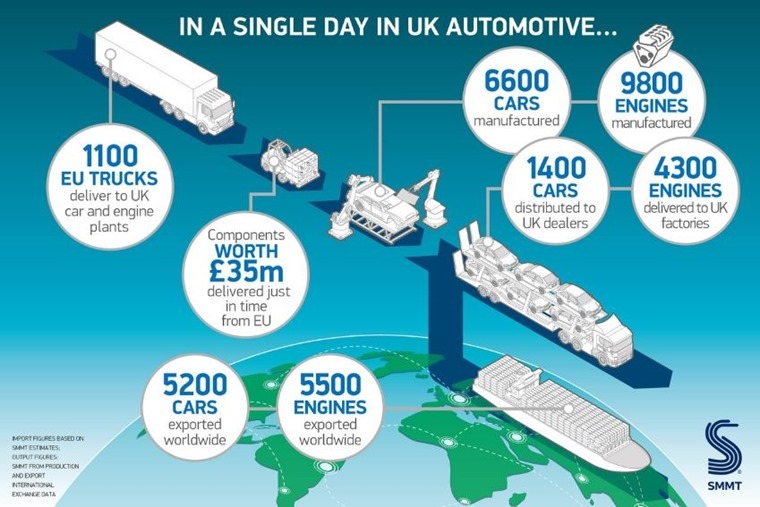 Currently, up to 1,100 EU trucks cross the Channel every day to deliver car and engine parts to plants across the UK. Should hold-ups at customs become the norm following Brexit, it will cause huge logistical problems and disrupt the ‘just-in-time’ production process for many manufacturers. Erik Jonnaert, secretary general of the ACEA, said: “Our members are already making contingency plans and are looking for warehouse spaces to stockpile parts. Sigrid de Vries, secretary general, European Association of Automotive Suppliers (CLEPA), said: “Everything possible must be done to secure a future exchange of goods, services and people that is frictionless. Automotive components often cross borders several times before the final product reaches the customer, and that includes Channel crossings. Mike Hawes, chairman of the SMMT has previously commented on the government’s handling of the situation. He said: "It is time to stop playing with words. ‘Soft’ or ‘hard’ Brexit and now ‘open’ mean nothing. It's time to be brutally honest; our sector needs a comprehensive and bespoke trade agreement." 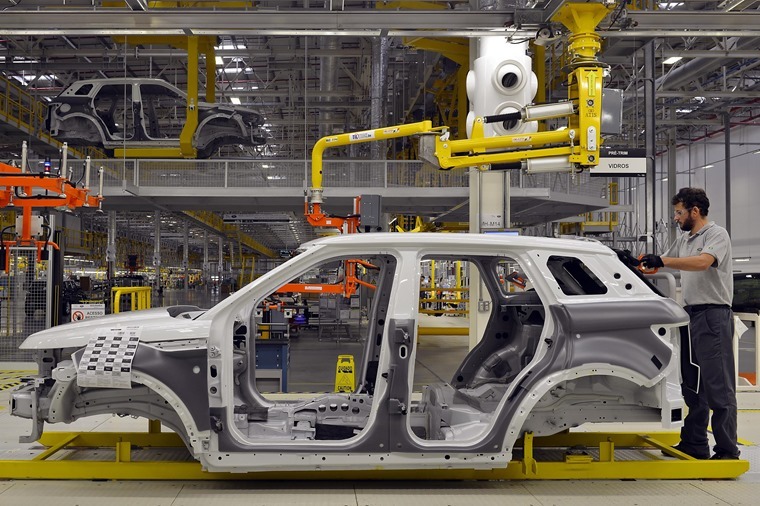 Over the last year the UK’s automotive sector accounted for £77.5bn – the highest on record. Employing over 170,000 people directly and a 800,000 other related jobs, it’s understandable that car makers are calling for clarity as soon as possible. You can find more car-related Brexit news by clicking here.